True true, and for that I give you my money. 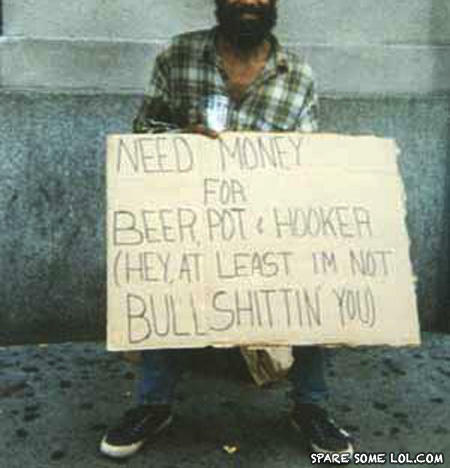 I would TOTALLY give that man money. He needs it.